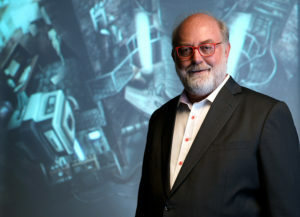 Over the past decade, Futurist Thomas Frey has built an enormous following around the world based on his ability to develop accurate visions of the future and describe the opportunities ahead. Having started seventeen businesses himself and assisting on the development of hundreds more, the understanding he brings to his audiences is a rare blend of reality-based thinking coupled with a clear-headed visualization of the world ahead. Predicting the future has little value without understanding the driving forces behind the trends, subtle nuances that can be leveraged, and implications for both the people directly affected in the industry as well as others farther down the technological food chain. Before launching the DaVinci Institute, Tom spent 15 years at IBM as an engineer and designer where he received over 270 awards, more than any other IBM engineer. He is also a past member of the Triple Nine Society (High I.Q. society over 99.9 percentile). As part of the celebrity speaking circuit, Thomas continually pushes the envelope of understanding, creating fascinating images of the world to come. His keynote talks on futurist topics have captivated people ranging from high level government officials to executives in Fortune 500 companies including NASA, Disney, IBM, Federal Reserve Bank, TED, AT&T, Hewlett-Packard, Visa, Frito-Lay, Toshiba, Dow Chemical, KPMG, Siemens, Rockwell, Wired Magazine, Caterpillar, PepsiCo, Deloitte & Touche, Hunter Douglas, Amgen, Capital One, National Association of Federal Credit Unions, Korean Broadcast System, Bell Canada, American Chemical Society, Times of India, Leaders in Dubai, and many more.